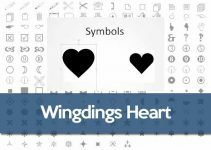 Learn how to make a star ★ ☆ using the Wingdings font on Windows keyboard, with the help of Microsoft Word or other word processing software tools. Open your word processing software and create a new document. In the menu bar located at the top of the word processing program, select “Insert”. If you are using Microsoft Word, select “Symbols”. If you are using OpenOffice, select “Special characters”. The Font character map will appear in a dialogue box on your screen. 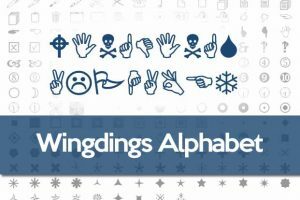 Find the “Wingdings” font in the drop-down list of fonts to display all the available characters within the Wingdings font. 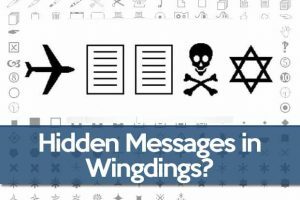 If you can’t find Wingdings on the list, make sure you have downloaded it and installed it. 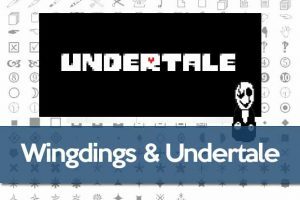 Scroll through the font characters to find the star symbol you’d like to write in your document. 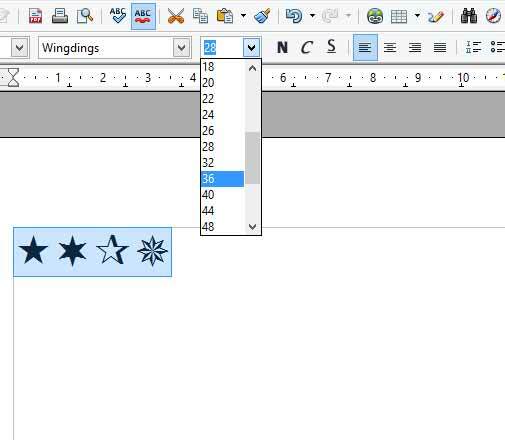 Double-click the star symbol inside the font character map to insert it into the document. 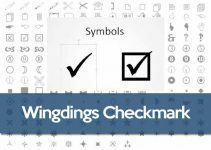 Close the symbols dialogue box (or character map) and return to your word processing document. Highlight the star in your document and change the font size in the font properties to adjust the size of your star. Adjust the position of the star by selecting the appropriate justification on the paragraph menu. You can copy the star by highlighting it and pressing ctrl + c, then paste it in any other documents or text fields by clicking on the desired field and pressing ctrl + v.
It is currently a universal symbol of Judaism and Jewish identity. The six-pointed star, “Star of David” or hexagram, is composed of two interlocking equilateral triangles. It is also associated with Zionism. The five-pointed star is associated with King Solomon. The red five-pointed star (pentagram without the pentagon inside) is the symbol of Communism and Socialism It represents the five fingers of the worker’s hand as well as the five continents (as traditionally counted). Equilateral triangles have always had a magical force as a symbol of perfection. The inverted triangle was also associated with women’s femininity or sexuality, while the triangle with the upward vertex represents the masculine. Their combination could represent unity and harmony. However, the upside-down five-pointed star alludes to satanic rites, sinful men … and black magic.